Home – Rent It Company & WACO of Okla, Inc. Need a quote? Call us today for pricing on rentals! Rent the construction equipment you need for your job site today. 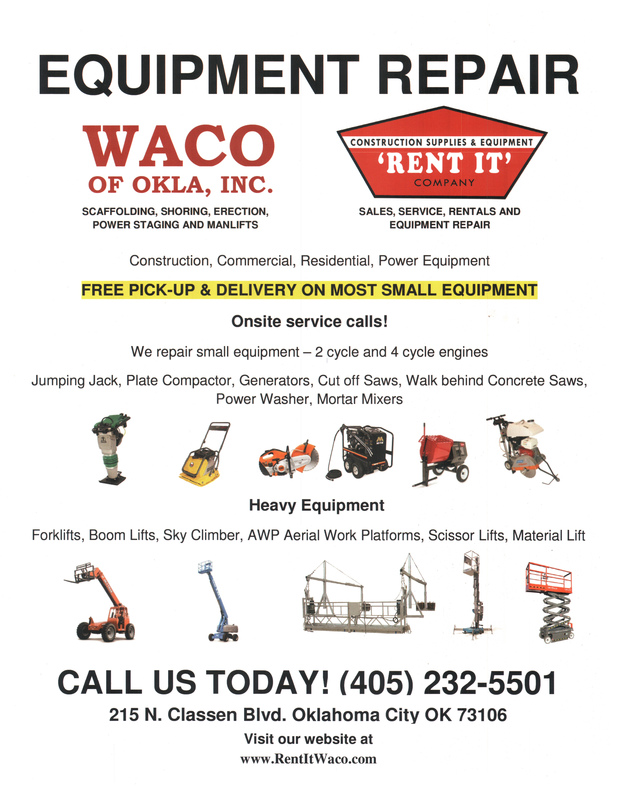 Waco Rents Construction Equipment provides heavy equipment rentals and construction tools to anywhere across the state. Call us today for additional information you may need! © 2019 Rent It Company & WACO of Okla, Inc.